WA-2 meets in Lewis County at Taste of Alaska in Napavine Washington on the second Sunday of every month. WA-2's President is Andrew (Drew) Erwin (Founder). ​All are welcome to come sit in on any of our open meetings. ​The purpose of R.A.R.E. is to develop a bond between motorcycle enthusiasts while promoting safe riding practices and positive family values. All members must promote safe and respectful riding practices. No member shall use the R.A.R.E. R.C. name, insignia, motto, colors, patches, or slogans in the commencement of a crime. 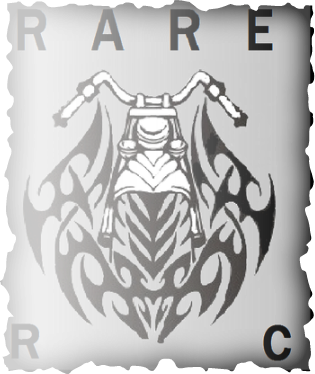 No member shall represent R.A.R.E. R.C. or cause the club to be financially liable in any way, or for any reason without the authority of a club officer. No member will ever operate their motorcycle under the influence of alcohol or drugs. Members should always stop and help any rider in need of help.